There are so many moments in Infinite Jest that are deeply insightful, and this is one more. I share this experience with Hal, and it was most apparent to me in my first year teaching at the college level. I think many teachers are surprised about what they know the moment it exits their mouth. My words often surprise me more than my students. Combine the adrenaline of teaching with the years of studying, and you have the perfect recipe for self discovery. You find out what you’re really made of. At the end of a good class, you’ll feel a teaching high. When a really important lesson resonates with your students, you get that ever famous teaching high. It brings you back again and again and it doesn’t matter how many times you have taught Book IX of Paradise Lost or read Martin Luther King Jr.’s passage in “Letter From Birmingham Jail” that talks about Fun Town out loud to your students. When you see the intellectually, emotionally, and spiritually moved, you know you’ll be back for another hit. Teaching is a drug. When your students ask you questions and beg you to go deeper, there is no turning back. I’ve thought a lot about intellectual vulnerability and how important it is to pull back the curtain with friends or colleagues, but it’s my students who taught me this lesson. More often than not, it has nothing to do with the course material and everything to do with life lessons. The word educate means to give intellectual, moral, and social instruction to someone. No one has it all figured out, but if you are a few years ahead in life, you have wisdom and experience to offer, just like Hal. Stories sell, inspire, and motivate. This is why as a culture we watch reality TV, read literature, and care even an inkling about celebrities. As teachers, students want to learn about the people in front of them. If we don’t share our personal experience with the knowledge we are passing on, it will never resonate as deeply as it could if we did. We are walking activists for everything we know, think, and believe. So who are your pupils and what are you teaching them? Are you ever surprised by what you believe the way Hal is? It’s not too late to join us for our Infinite Winter. 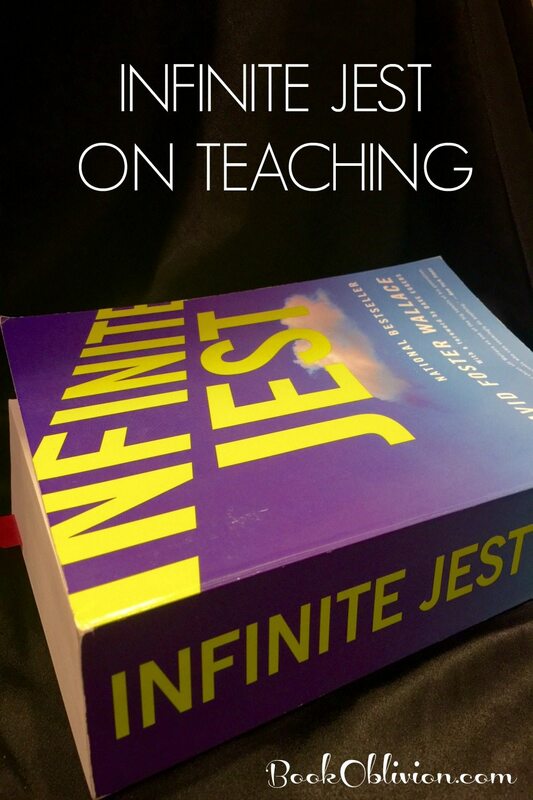 Read through David Foster Wallace’s Infinite Jest with 600 of your closest internet friends. Visit the website here and access the reading schedule here. I’m already behind! I’m supposed to be at pg. 200. Oh well, I have it in queue. I’m behind too. I’m trying to catch up this week. What page are you on? I have an excuse (death in the family), but I’m really just not finished the book I’m reading. I’ll do a few pages tonight I think. 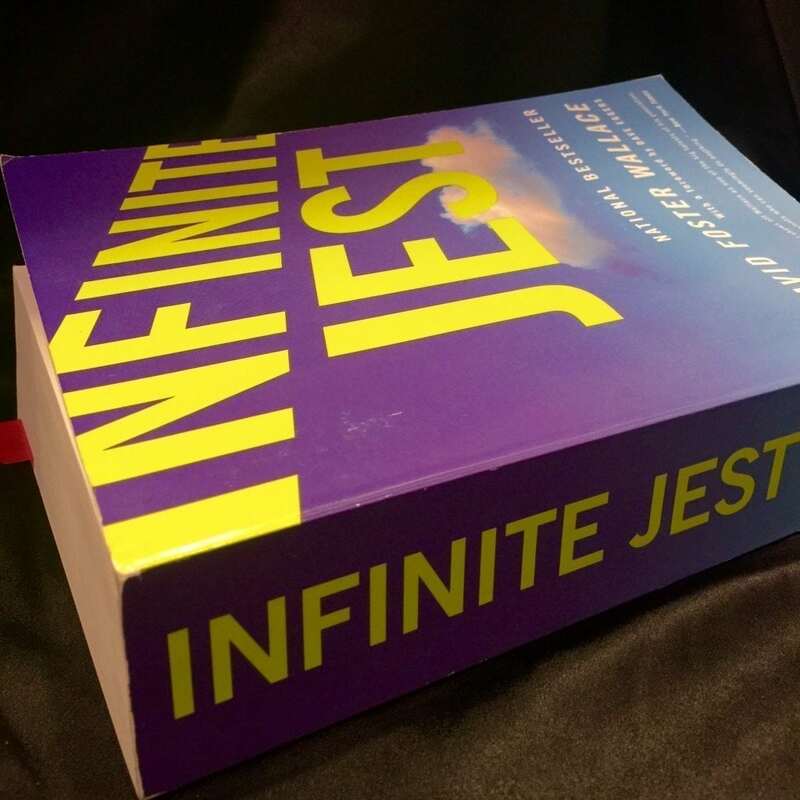 It isn’t an infinite book, but it’s long! So I spent a couple of hours last night reading this peculiar and amazing book. And I am only 2% or 3% done! I am going to borrow a paper copy because the footnotes are cumbersome on my electronic edition.